In Canada, until June of this year, subscription satellite radio services were offered by two separate companies, privately owned Sirius Canada and publicly owned Canadian Satellite Radio Holdings Inc. Operating independently of their U.S. counterparts, the Canadian firms had been selling modified Canadian versions of the U.S. service since December 2005. On November 24, 2010, XM Canada and Sirius Canada announced they have entered into an all-stock merger. The merger was completed on June 21, 2011 after having received the final regulatory and government approvals for the deal. The merged Canadian company has more than 1.8 million subscribers and is expected to take in revenues of more than $200 million annually. As of the beginning of September 2011, the merger had produced no tangible changes for consumers as Sirius XM must first make massive changes to their back office billing systems and their IT systems , as well as trained support staff, before they make changes to their offerings. 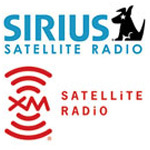 For readers interested in discussing or learning about Sirius XM and Sirius XM Canada, Digital Home offers the Sirius/XM Satellite Radio forum. We also offer the Canadian AM/ FM Radio and Music Industry forum to discuss all forms of radio equipment and programming including car audio, HD radio, and all your favourite Canadian AM and FM stations. Discussion of new music and your favourite bands also welcome.